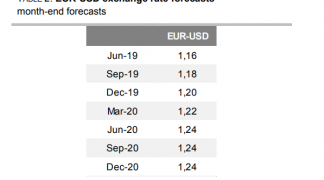 Foreign exchange analysts at global financial services provider NAB have announced an update to their forecasts for the Euro to Dollar exchange rate (EUR/USD). 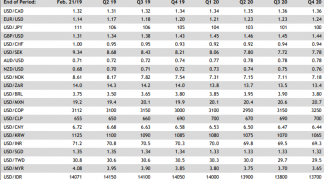 “With our expectation of an ECB tapering announcement 7 September and a likely removal of the pledge to extend QE at the 20 July meeting, we revise up our September forecast to 1.17,” say NAB in a monthly strategy note. Should the EUR/USD move to this level, the rough 1.05-1.15 range the exchange rate has sat in for two and a half-years would be broken. Behind the improvement in the Euro’s outlook lies the European Central Bank. ECB President Draghi’s Portugal speech on 27 June has been described as a game-changer after it effectively signalled a move away from the ECB’s long-held easing bias. Draghi told an audience of fellow central bankers in Portugal in late June that the ECB will need to adjust its policy parameters in line with the recovery in order to keep its policy stance broadly unchanged. The ECB now believes the ‘balance of risks’ on economic growth are to the upside. And at the ECB's 8 June policy meeting, Draghi underscored his confidence in the Eurozone economic recovery. “The hints and nudges from the ECB are now coming thick and fast, aided by similar nods from other central banks,” say NAB. NAB believe the ECB is now readying the market for an announcement in the coming months of a tapering of its asset purchases. “The run of incremental policy adjustments confirms that the era of open-ended quantitative easing is over,” say NAB as they raise their September 2017 EUR/USD forecast from 1.12 to 1.17. 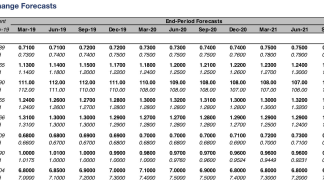 The December forecast is raised from 1.13 to 1.15 while the March 2018 forecast is raised from 1.15 to 1.17. So it would appear that 1.17 is the maximum we can expect over coming months. Why? “We don’t think the EUR will extend much beyond there until 2018,” say NAB who expect a US Dollar fightback to emerge. 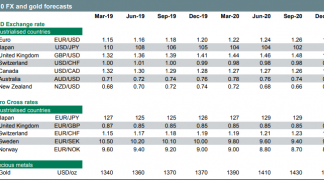 Analysts see the Dollar rising in the second-half of the year but the view is predicated on the US economy delivering some strong data and the Federal Reserve delivering three interest rate rises in 2018. Whether or not President Trump can deliver on his policy ambitions of lower taxes and higher spending will also be important for the Dollar’s evolution.